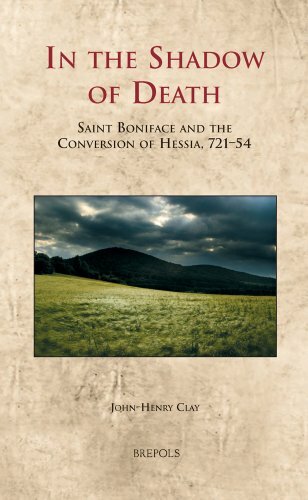 In the year 721, the Anglo-Saxon missionary St Boniface came with his followers to Hessia, a small but turbulent province on the borders of the expanding Frankish kingdom. This book is the first dedicated interdisciplinary study of Boniface's thirty-three-year mission among the Hessians. The author relates the historical sources to the rich archaeological heritage of the region in order to describe the political and cultural context of the mission and its relationship to long-term Frankish interests in the Saxon borderlands. Thanks to the survival of many letters between the missionary community and its supporters, it is also possible to examine a symbolic literary discourse that portrayed the missionaries as heroic exiles who chose to suffer torments in a distant land for the sake of Christ. Finally, fresh evidence drawn from topography and place names is used to argue for the existence of an expansive pre-Christian sacred landscape that was one of the major obstacles faced by Boniface and his followers. The result is an innovative study that brings history and archaeology into communication with the landscape, both real and imagined, in order to reconstruct a crucial moment in the conversion of Europe in all its complexity, ambiguity, and drama. Awarded the Josef Leinweber Prize 2009 by the Fulda Faculty of Theology.